You never really appreciate those street lamps until they aren’t there. From wild animals that enjoy playing tag with cars to the relaxing night sky that makes sleep so tempting, dark roads present a variety of dangers while operating a vehicle. Unfortunately, street lamps aren’t always possible, due to electricity limitations, or tricky terrain. Luckily, innovators are working to find remedies for this issue. Dutch designer Daan Roosegaarde and Roosegaarde Studios has been working with luciferin, the chemical that allows jellyfish and other animals to glow, to fix the dark highway issue. Creating glowing trees and paints, while not yet completely developed, are among Roosegaarde’s ideas for solutions to the issue. 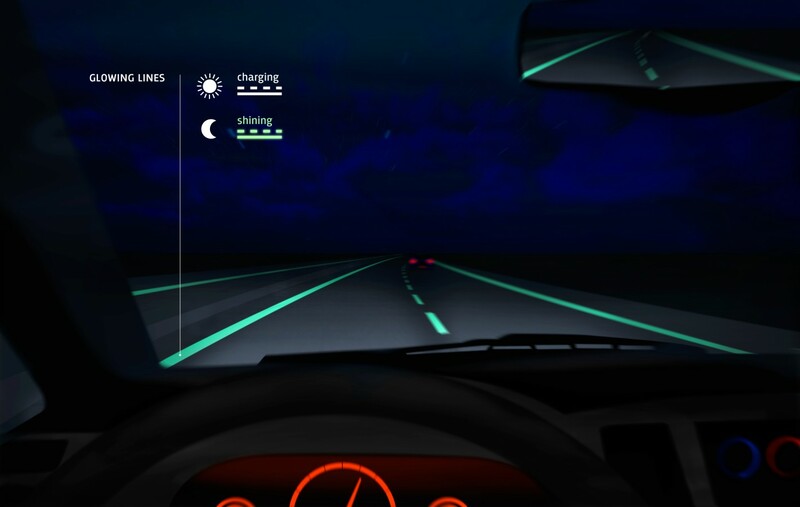 By using the glowing paint for the stripes and the luminescent trees to line the roads, the highway would be lit up without the use of electricity and lamps. In addition to the paint, Roosegaarde is also working on lanes that will charge electric cars when driven over, paint that will alert a driver of icy conditions, and wind powered lights, among many other projects. Roosegaarde has been making an impact with his ideas for a bit over a year, showing off his prototypes at the Dutch Design Week in October of 2012. After winning the Best Future Concept at the event, the smart highway designs became world news, and have continued to grow in exposure and development. This idea, among his many others, has continued to win awards and receive support around the world. Due to be completed this year, a 600 meter bike path in the Netherlands will be filled with glowing stones developed by Roosegaarde.